Babbitt Motor Werks is a BMW-only, bumper-to-bumper repair and service facility in Scottsdale, AZ. Comprised of a handpicked staff carefully selected from BMW dealerships throughout the valley, Babbitt Motor Werks offers the preeminent degree of BMW repair & service knowledge. All technicians have reached the highest level of training offered by BMW North America and only BMW factory parts are used for all repairs and service. As the only independent BMW repair facility in Arizona to own two GT1 diagnostic systems and two SS programming stations, Babbitt Motor Werks has the specific computer systems required to diagnose and repair BMWs. Babbitt Motor Werks truly understands the importance of maintaining a client through elevated customer service, quality, and fair pricing and promotes a philosophy of trust and integrity throughout its family of employees and customers. We are located just behind Titlemax. 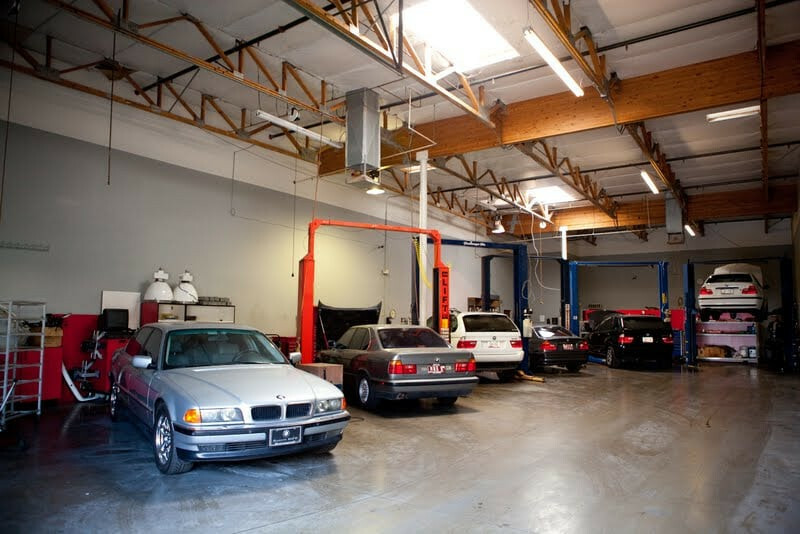 Babbitt Motor Werks is THE place to go for BMW service in Scottsdale. Technicians are highly trained and experienced. The work was done on-time and at a significant savings over the dealership. Kameron did a great job explaining the issues with the SAV and the work that was performed. I highly recommend this business. Read all the five star reviews so I decided to take my BMW to Babbitt Motor Werks for a simple oil change. The reviews are all legit, if you want honest no bs and work done done by BMW professionals then this is the only place to take your car. No upselling, price quoted is what you pay. Honest to a fault, what a refreshing concept. I will take my vehicle there going forward instead of paying ridiculous not needed dealer repair prices. So I took my car in because I has a steering wheel malfunction in my 2005 BMW 645ci and my steering wheel would not align to the correct position after making a right turn. Steering wheel would remain canted about 35 deg. I was quoted almost $1000 to replace the steering angle sensor with labor. After the job was complete, I was charged $350 instead of the $1000 I was quoted. Turns out that they were able to recalibrate the steering angle sensor instead of installing a new angle sensor. 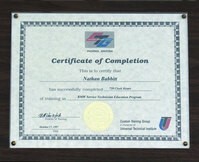 Babbitt Motor Werks gained my trust and I recommend them to every BMW owner. Brought my X5 4.8is in twice for repairs Babbitt Motor Werks in Scottsdale, one for valve seals, and second for misfires, and I gotta say they are by far the best and most humble group of people. Nate and Jen are the perfect pair when it comes to customer service and repairs. I became a committed customer when Nate worked with my 3rd party warranty company for my X5. The last place I took it to had a terrible time and it took so long to get things resolved. With Nate and Jen they just made things so much easier and I really can't give them enough thanks. They also will give you a car ride back if needed, and have some cruiser bikes at the office you can use to check out the area in case you decide to wait. I also want to say that his team of technicians are just as humble and enthusiastic about what they do. I just moved to area and finding a auto repair shop is really hard, if you want to avoid the dealership and have good people and the right repairs done for the right price, bring it to Nate and Jen. I seriously have them on my speed dial. I've owned my 530i for 8 months, and felt it was time to have a general inspection done, as well an oil and filter change. Nate and his team did a great job of going over my BMW, and found only a few things that obviously needed to be repaired. The work was performed quickly, and the cost was fair for the work done. Can't say enough about the customer service. I had fretted since buying the car about where I would take it when the time came for service, very glad I found Babbitt Motor Werks, they will service my car going forward. Babbitt Motor Werks is by far the best BMW repair shop in the valley. I have taken my car to 3 other BMW repair facilities before and Babbitt is the best by far. Nathan the owner is exceptional in the way he treats the customers and gets repairs done very quickly. The first time I brought my M6 to him, he noticed work that other repair ships had done incorrectly and fixed them for me free of charge! Another repair that needed to be done to my car was an oil cooler and BMW North Scottsdale had quoted me $2,400 for parts and labor. I took it to Nathan and he fixes it for $500 parts and labor! Highly recommend Babbitt.